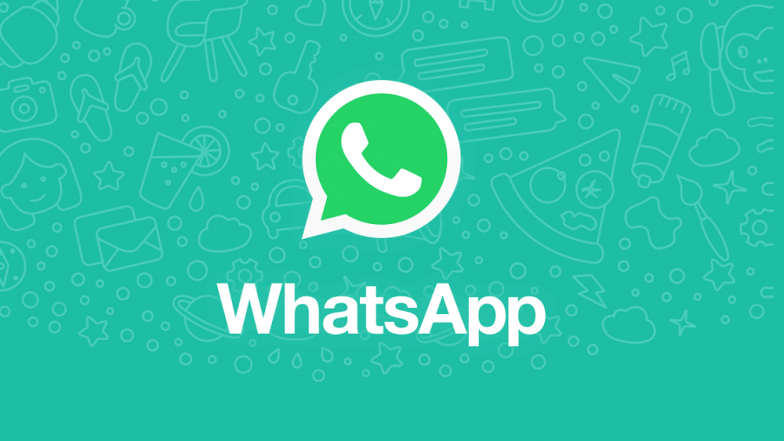 New Delhi, April 2: WhatsApp Tuesday unveiled its 'Checkpoint Tipline', where people can check the authenticity of information received as the messaging giant looks to crack down on fake news ahead of the general election in the country. "Launched by PROTO, an India-based media skilling startup, this tipline will help create a database of rumours to study misinformation during elections for Checkpoint - a research project commissioned and technically assisted by WhatsApp," the Facebook-owned company said in a statement. WhatsApp, Twitter Blocked in India Till May 19 To Curb Fake News, Hate Messages Ahead of Lok Sabha Elections 2019. It added that starting Tuesday, people in India can submit misinformation or rumours they receive to the Checkpoint Tipline on WhatsApp (+91-9643-000-888). Once a WhatsApp user shares a suspicious message with the tipline, PROTO's verification centre will seek to respond and inform the user if the claim made in message shared is verified or not. "The response will indicate if information is classified as true, false, misleading, disputed or out of scope and include any other related information that is available," the statement said. This centre is equipped to review content in the form of pictures, video links or text and will cover English and four regional languages - Hindi, Telugu, Bengali and Malayalam. PROTO will also look at working with organisations at grassroot level to submit misinformation circulating across different regions in India during the election period. Facebook, which counts India as one of its largest markets with over 200 million users, had faced flak from the Indian government after a series of mob-lynching incidents, triggered by rumours circulating on WhatsApp, claimed lives last year. Facebook’s New User Control Feature Introduced to Help Users to Understand & Control Posts Surfacing on Their News Feed. Under pressure to stop rumours and fake news, WhatsApp had last year restricted forwarding messages to five chats at once. It has also been putting out advertisements in newspapers and running television and radio campaigns offering tips to users on how to spot misinformation. With ensuing general elections, the Indian government had warned social media platforms of strong action if any attempt was made to influence the country's electoral process through undesirable means. Interestingly, the Indian government — through proposed changes in IT rules — is seeking to make social media platforms more accountable by mandating them to introduce tools that can identify and disable "unlawful content". One of the amendments being mulled in the IT intermediary rules (meant for online and social media platforms) will require them to enable tracing out of such originators of information as needed by government agencies that are legally authorised. However, WhatsApp has so far resisted the government's demand for identifying message originators, arguing that such a move would undermine the end-to-end encryption and the private nature of the platform, creating potential for serious misuse. In its statement on Tuesday, WhatsApp said Dig Deeper Media and Meedan - which have previously worked on misinformation-related projects around the world - are helping PROTO to develop the verification and research frameworks for India. To do so, they have expanded their check platform (developed for recent elections in Mexico and France) and integrated it with the WhatsApp Business API, to receive and respond to messages at scale. Facebook's Mark Zuckerberg Wants the Government to Regulate Content on the Internet. "The goal of this project is to study the misinformation phenomenon at scale — natively in WhatsApp. As more data flows in, we will be able to identify the most susceptible or affected issues, locations, languages, regions, and more," PROTO founders Ritvvij Parrikh and Nasr ul Hadi said. The verification reports PROTO sends back will encourage grassroots-level "listening posts" to send more signals for analysis, they added. Following the project, PROTO also plans to submit learnings to the International Center for Journalists to help other organisations learn from the design and operations of this project.